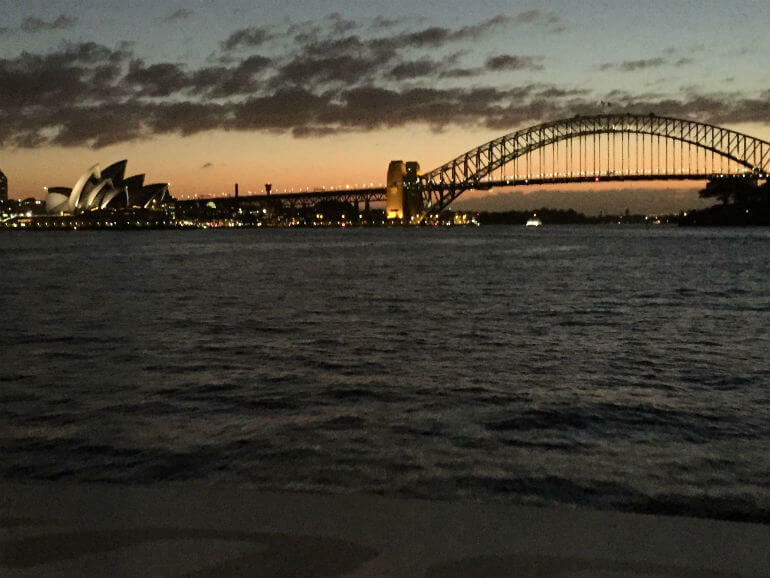 Sydney is beautiful, blessed with so much natural beauty. 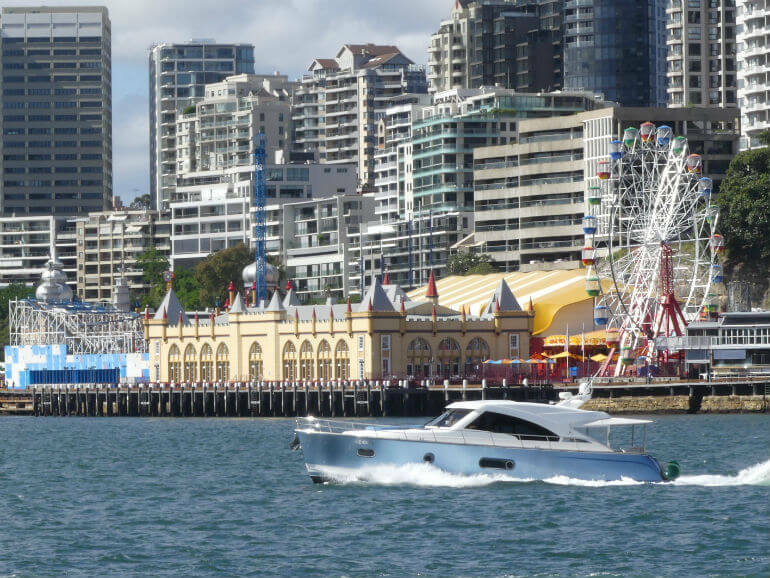 The harbour, one of the deepest natural harbours in the world, will hold you spellbound as you look at its beauty and the activity happening on and around it. The best way to appreciate the harbour is to be on it and feeling part of it. Sydney’s climate is so wonderful you will want to be outdoors discovering all she has to offer. The beauty of this city will surprise you at every turn. Perhaps it is a glimpse of the Sydney Harbour Bridge (affectionately call The Coat Hanger) or the tips of the sails of the Opera House, an old pub in The Rocks oozing with history, the Sydney Tower rising above it all, Luna Park laughing down at us and Bondi Beach just bugging you to jump in and have a surf. 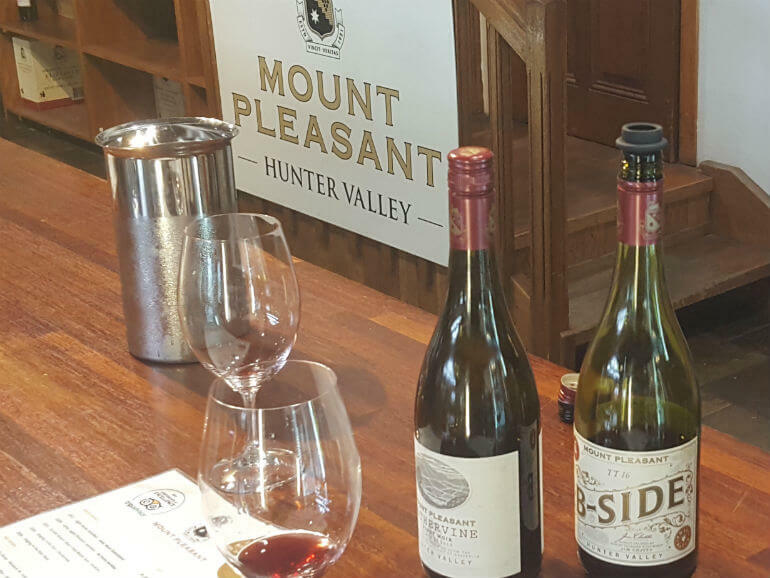 The two main day tours from Sydney are to the Blue Mountains, renowned for its natural beauty or to the Hunter Valley, to taste their wonderful range of wines. If your passion is dolphins then a day trip to either Jervis Bay or Port Stephens to get up close and personal with them, will be for you. Sydney and her surrounds are also great places to view the humpback whales during their migration. The season is from May – August as they head north and from late August to December, will see them heading south back to Antarctica with their calves. The vibrant food scene and the fabulous shopping are two other major drawcards for the city. The city is full of great shopping centres, arcades with boutiques and the choice of great restaurants is overwhelming. 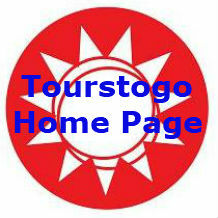 Like all cosmopolitan cities there are suburbs which are renowned for dining and shopping. Surrey Hills is one such area, Paddington, Bondi, Double Bay, Woollahra are are others and that is only on the south side of the bridge! What’s the Sydney Weather like? There is a range of apps for accessing Sydney public transport. Covering fares, timetables, traffic apps and apps to compare public transport to driving. If it is on the harbour then you can most likely catch a Ferry there. (Ferry Info). 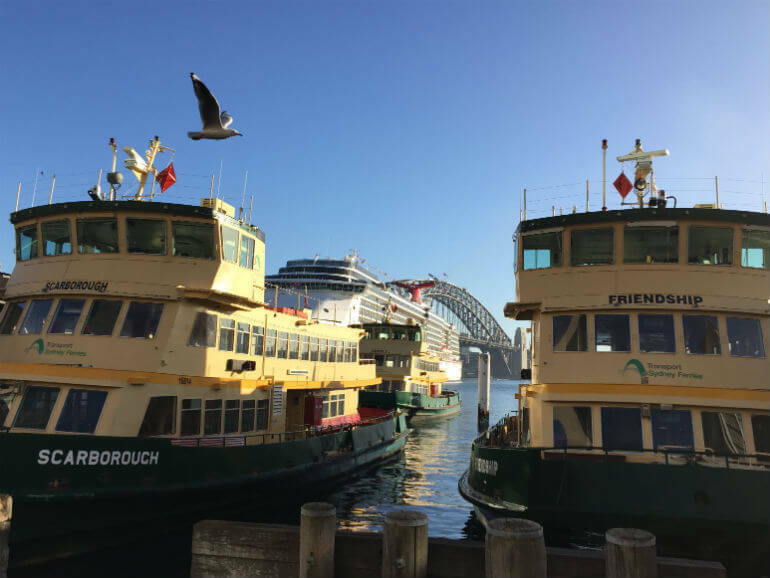 Circular Quay is the main Ferry terminal with ferries normally running from 6am to 1 am servicing Darling Harbour, Manly, Mosman Bay, Neutral Bay, Parramatta Taronga Zoo and Watson’s Bay. Taxis are a convenient method for point to point travel in Sydney. Throughout Australia dialling 131008 will put you in touch with the nearest Taxi service. Taxis can also be pre-booked. The only paper tickets on sale from 1st January 2016 are single trip tickets for Ferries, Buses, Trains and the Light rail with return paper tickets not available for Buses. The light rail network runs from Central station in the CBD through Wentworth Park, Rozelle Bay to Dulwich Hill (Light Rail). The light rail operates from 6am to 11 pm or midnight on Fridays with 24 hour services from central to Star Casino. More than a million people head to the harbour to watch Australia’s most famous NYE celebrations. Get in early for the best vantage spot and make sure you have a view of the centre piece of the display the Sydney Harbour bridge. This is the world’s largest short film festival and it is FREE to attend. The event day and Trop JR are both held at Parramatta Park and are the highlights of this week long film festival. 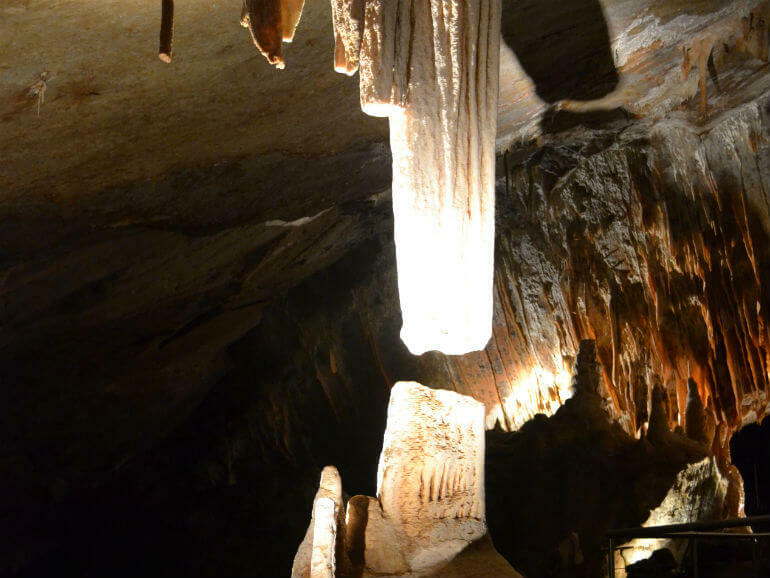 This 45 km walking trail becomes a running track for one day a year as competitors race from The Explorer’s Tree to Jenolan Caves. Public Access to the track is restricted during the race. This is the world’s richest race for two year olds, with a $3.5 Million prize pool in 2017. The race is run over 1,200M and is Sydney’s biggest race day. Supported by Group 1 races and with live music and trackside entertainment it makes for a great day. Come along and be a Junior Farm Hand or watch the sheep dog trials. For a metropolitan show the Royal Easter Show works hard to make sure that for two weeks your agricultural side is well catered for. The stellar line up for the 2018 Sydney Comedy Festival continues to grow. Stephen K Amos, Ross Noble, Jonathon Pie and Urzila Carlson are all set to perform, along with a range of up and coming new talents in comedy. Shows occur at various venues across Sydney with the more popular tours selling out well in advance, so get your tickets early. 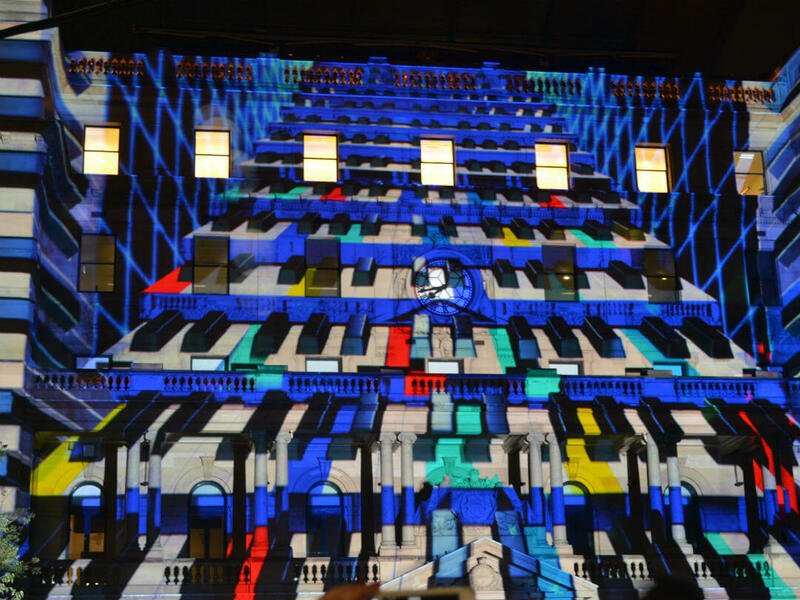 Most people come to Vivid to see the light shows, but there is so much on offer. There are three parts to Vivid, Light, Music and Ideas. Each year leaders in their field descend on Sydney to share their insights and ideas against a festive backdrop. Sydney is hosting just one State of Origin in 2018 and for the first time in almost 20 years the game is being played on a Sunday. As part of the revised schedule the kick off has been moved forward to 7.45pm. To add to the challenge of this demanding track the 2018 event will be run under lights. This track provides plenty of overtaking opportunities and as the track temperature drops as night descends there will be plenty of action for fans. A serious race, a fun run and a fundraiser, the City to Surf is a bit of everything. In 2017 the race raised almost $4.5m with a target in 2018 of $5M . The 14 klm course from Hyde Park to Bondi Beach has an 80m climb between the 6 and 7 klm marks that will test even the best runners. This is New South Wales largest Independent Arts Festival and a chance to see fringe art move from its hidden venues and back streets into the main stream for the month of September. After a hard year of competition it all comes down to this match. In 2017 the Cowboys fairy tale finals series was ended by the Melbourne Storm who went on to take their third premiership. What will be the story of 2018. Be on the harbour or get to your vantage point early to catch the yachts as they race out the heads on their way to Hobart. The beauty of the harbour and the party atmosphere in Sydney masks the gruelling 628 nautical mile race facing the skippers. The Airport Rail Link has stations at both the Domestic and International terminals and connects to Central Station, Circular Key, Town Hall as well as four other stations, with regular departures seven days a week. (Airport Link Train). The trip takes approximately 15 minutes. The domestic train station is between Terminals 2 and 3 and is accessed from the arrivals area. The International terminal is also accessed from the arrivals area and is located at the northern end of the international terminal. The train can also be used as a transfer service between the International and Domestic terminals. The T Bus is a regular transfer service between the domestic and international terminals and cost approx. $5.50. Look for the T Bus signs and purchase your ticket from the ticket machine near the T Bus stop. This is a convenient way to get to and from the airport directly connecting with your destination. Undercover taxi ranks are located at each terminal with kerbside supervisors assisting in busy periods. Pre-booked taxis are advised if you have special needs and there is a special pre-booked taxi area at each terminal. (Taxi) Taxis are not permitted to pick up from outside these areas. As an alternate to a taxi a pre-booked limousine service which must be arranged in advance with a pre-determined meeting point. For international arrivals there is a Limousine reservation counter in the arrivals area. Soliciting for fares is not permitted. There are bicycle racks located throughout the airport and a publicly accessible shower at the International terminal. Aside from being home to the Sydney Harbour Bridge and the iconic Sydney Opera House, Australia’s oldest city is a thriving cosmopolitan mecca, built on one of the most beautiful harbours in the world. 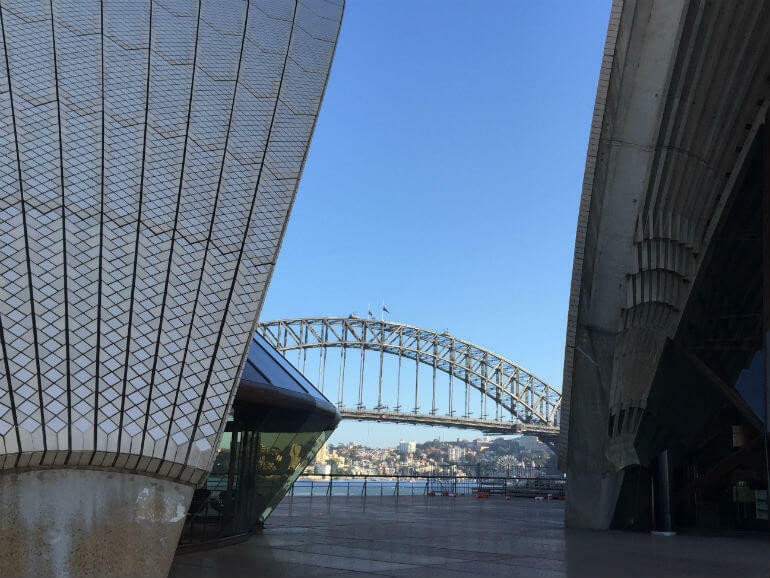 An intriguing mix of architectural styles, Sydney offers a rich tapestry of landmarks dating back to its discovery, as well as a wide array of cultural influences, including food, fashion and entertainment. With miles of golden beaches and a moderate climate year round, Sydney’s Top 10 is just the beginning of an intriguing journey. Sydney has many other sides to her away from the harbour, hard to believe isn’t it? A lot of her old suburbs have distinctive character and it is well worth wandering around some of them. Many wonderful old trees line the charming streets with cottages and terrace houses showing us how Sydney looked in her earlier days. I love walking around Surry Hills, Paddington and Woollahra then I head off to catch the ferry to Mossman and head to Balmoral. Before I know it my day has been well spent. 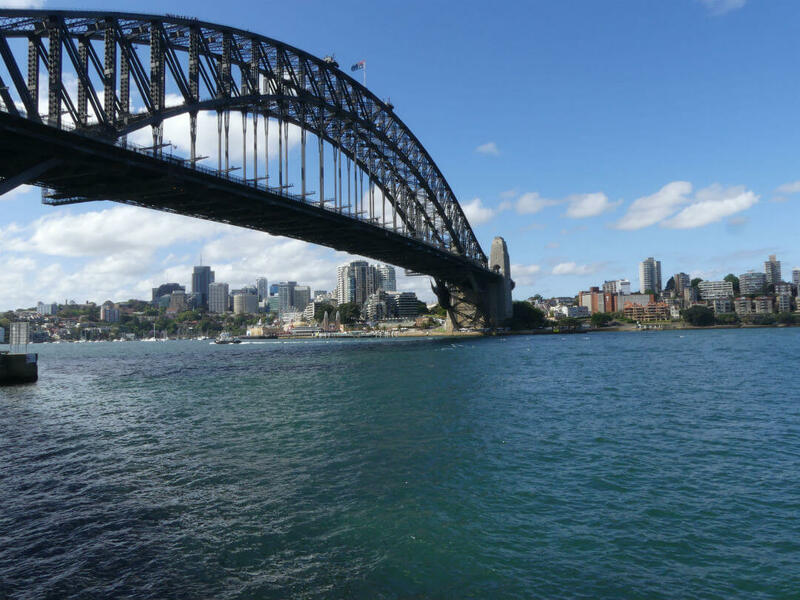 Sydney has many vantage points and the most amazing one is the top of Sydney Harbour Bridge. Yes, that’s right you can take a tour and climb to the top so why don’t you? There is another place to go for a great view (local knowledge). Go to Centre Point Tower and say you want to go to the bar for a drink, you don’t have to pay for the entrance to the viewing station and you get an amazing 360 view of Sydney in the revolving bar (it takes approximately 55 minutes to go around). All you have to do is sit there and enjoy your drink while Sydney shows herself. Surfing or swimming is a must when visiting Sydney so if you haven’t tried surfing then make sure you book a lesson and before the lesson is over you will have surfed your first wave! 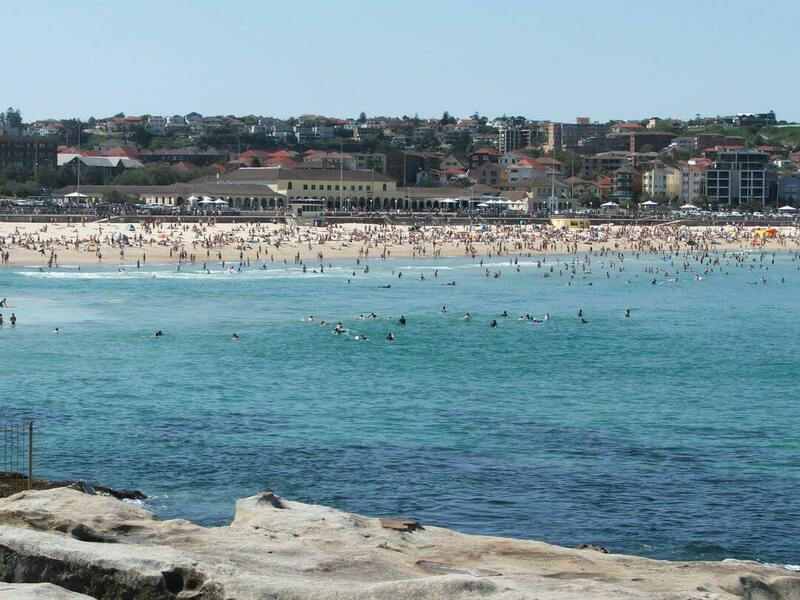 Afterwards reward yourself with a meal or drink in one of Bondi’s numerous restaurants and bars. If you are an animal lover, then you can take a tour to Taronga Zoo or one of the many wildlife parks. 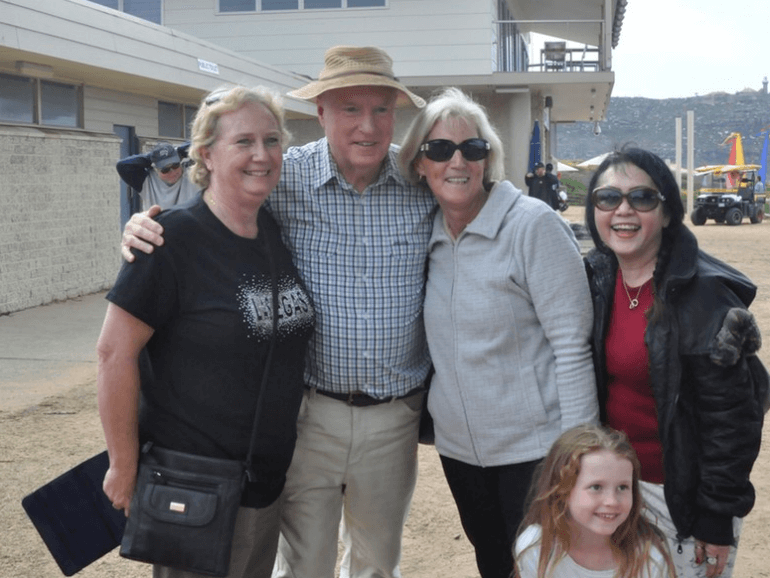 Taronga Zoo is only 12 minutes from Circular Quay and there are so many animals to see and things to do you will be there for ages. 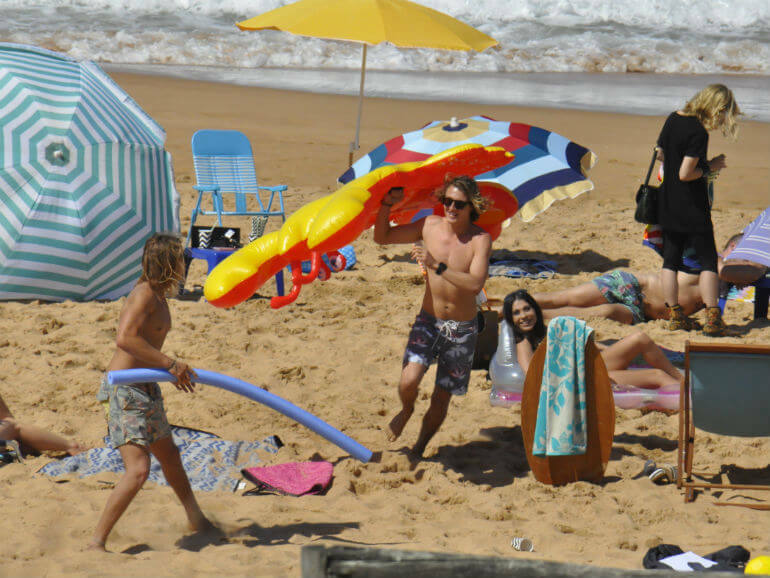 A little something special for Home & Away fans, you must go on the tour and see where their daily life is lived. You will see where love has bloomed, hearts have broken and then been mended. Not to be missed if you are a diehard fan! One of the greatest attractions Sydney has is her harbour. Described as one of the most beautiful natural harbours in the world. On a wonderful warm sunny day, it turns into a playground for all types of water vessels. The different colours of the sails create a vision that remains with you. 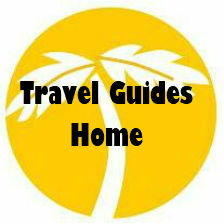 Whether you are on the harbor or near the harbor there are so many attractions bidding for your time. Whatever type of harbor cruise you are after there will be one to suit you. Sailing, cruising, power boating, or the ferry, they are all available. 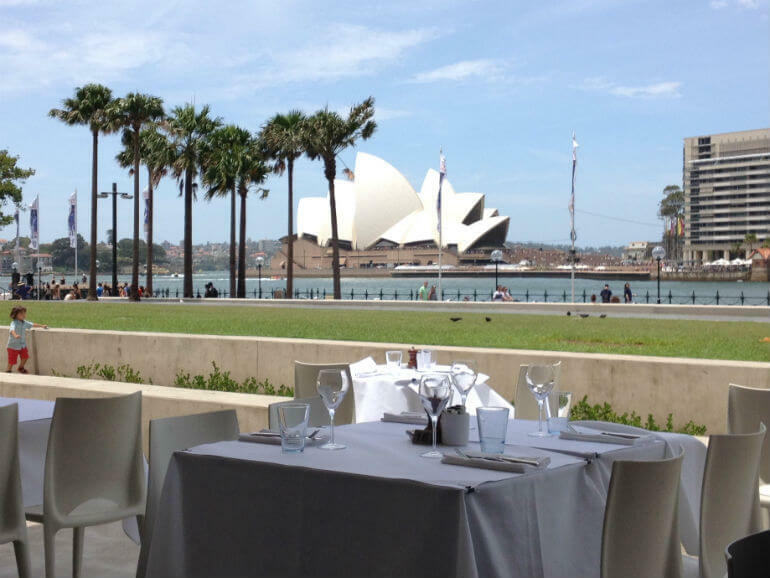 If you are down on Circular Quay you will find lots of restaurants and shops. 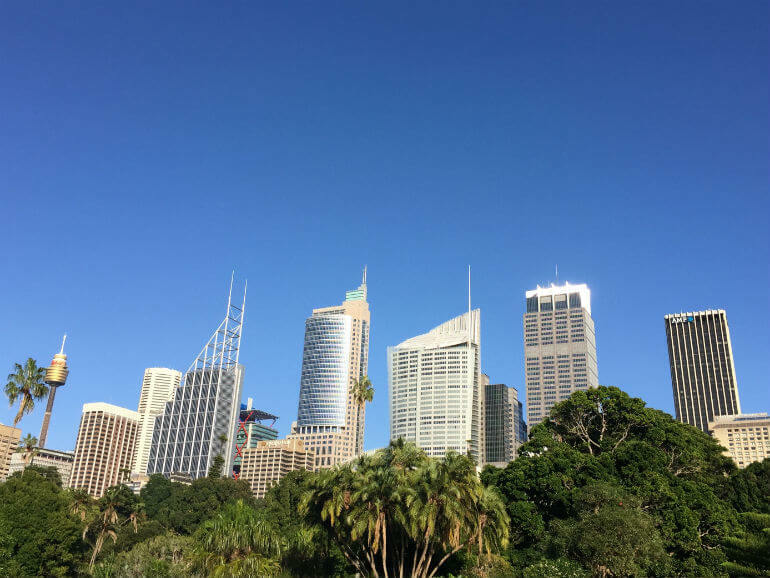 If you head to the southern side of Circular Quay you will come to the Sydney Opera House and if you keep going you will find yourself in the wonderful Royal Botanical Gardens. 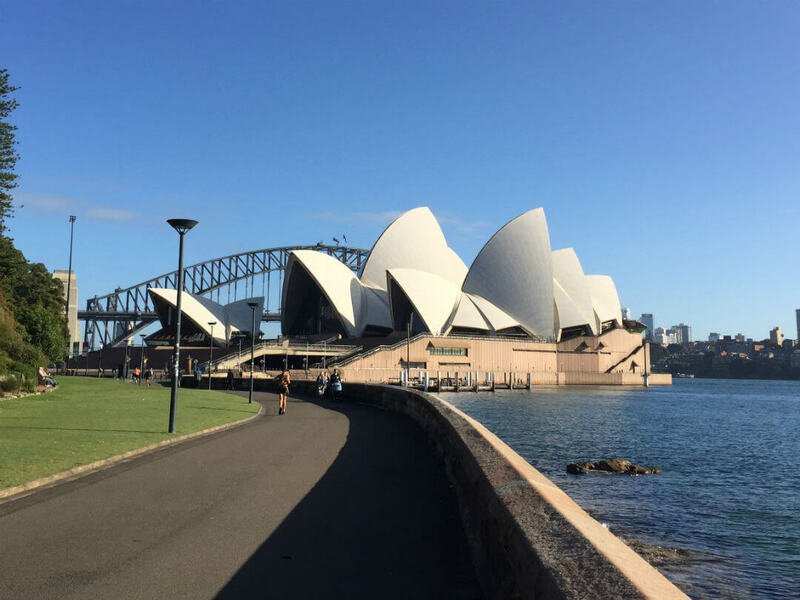 Make sure you go as far as Mrs Macquarie’s Chair as it is here you get the spectacular view of both the Opera House and the Harbour Bridge (image at the top of the page). If you venture to the northern side you will come across the Harbour Bridge and The Rocks (great history of Sydney in this area). 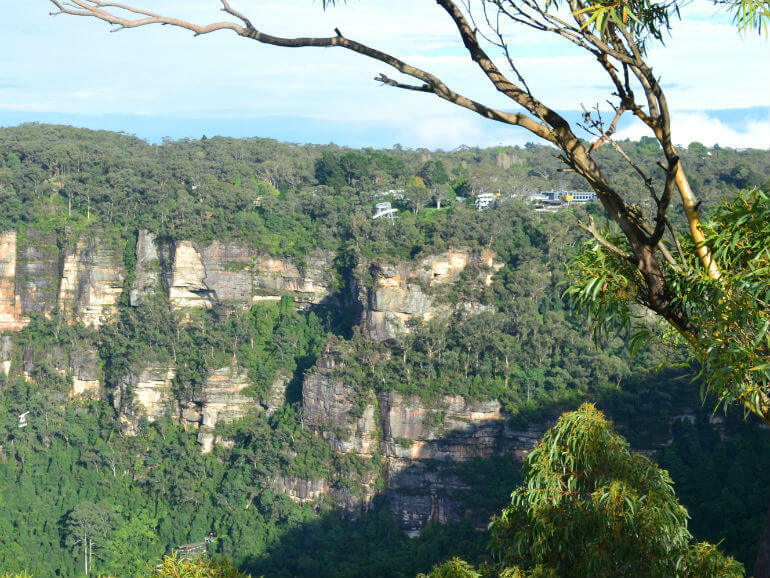 A trip to the Blue Mountains is not to be missed. 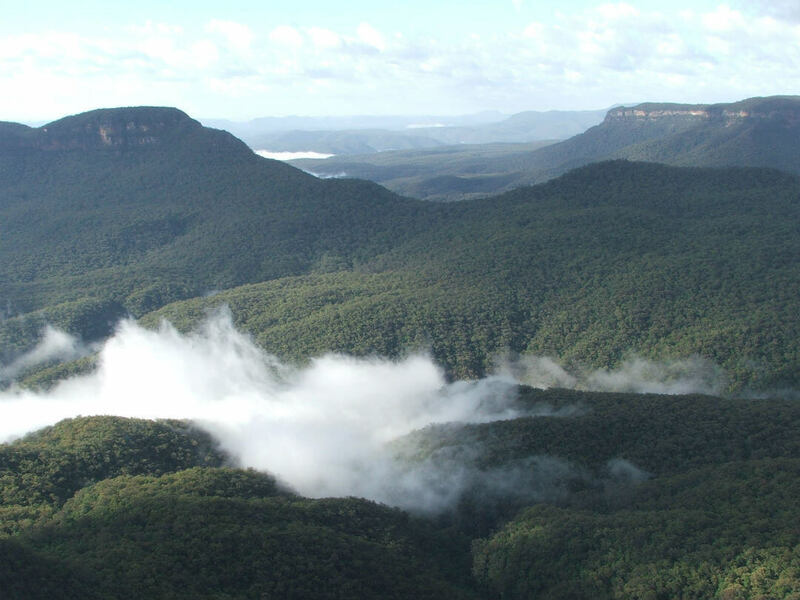 A 90-minute drive from Sydney will find you in the Blue Mountains National Park. Whether you are a family, nature lover, bush walker or adventurer, you will find your path. Steep cliffs, Eucalyptus Forests, water falls, all help to create this dramatic scenery. Mixed in with this scenery is a selection of Australia’s great Flora & Fauna. Scenic World has 4 amazing experiences, the Scenic Railway is the steepest railway incline in the the world, Scenic Cableway is the steepest & largest aerial cable car in the Southern Hemisphere and takes you on a trip of 545 metres with unsurpassed views, Scenic Walkway, 2.4 kilometres walkway, and Scenic Skyway has 360 degree views, 720 metres, and the adventurous may choose the glass floor cabin option! 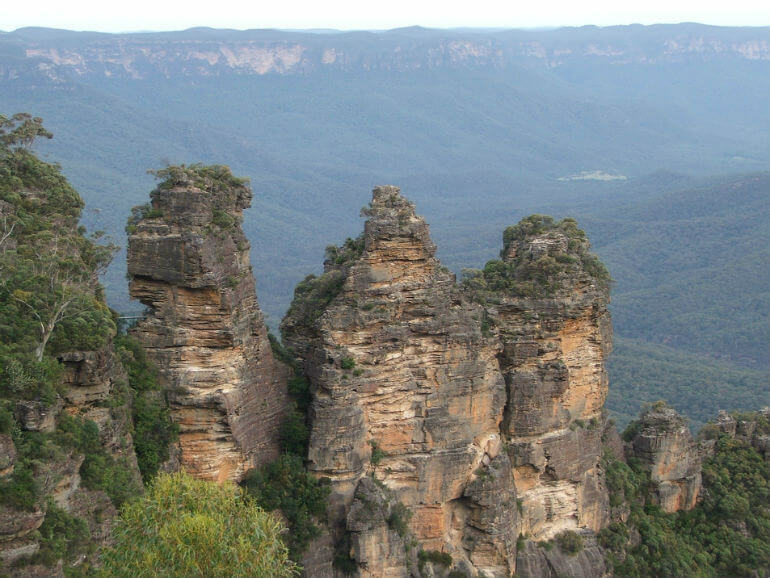 For a more comprehensive guide to the Blue Mountains including tour reviews and videos see the ‘Tours to go’ Blue Mountains Travel Guide. 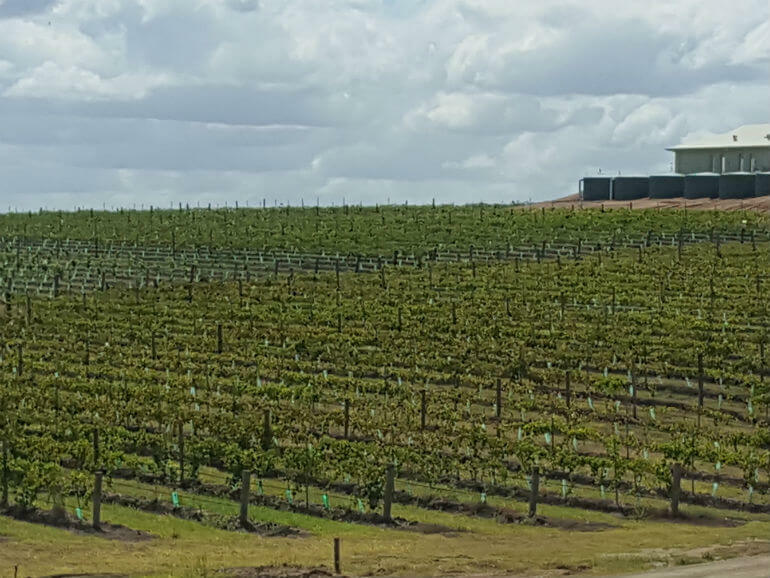 In the 1820’s the first Australian vines were planted in the Hunter Valley region. The Hunter Valley is famous for producing a unique Semillon previously know as the Hunter Valley Riesling. 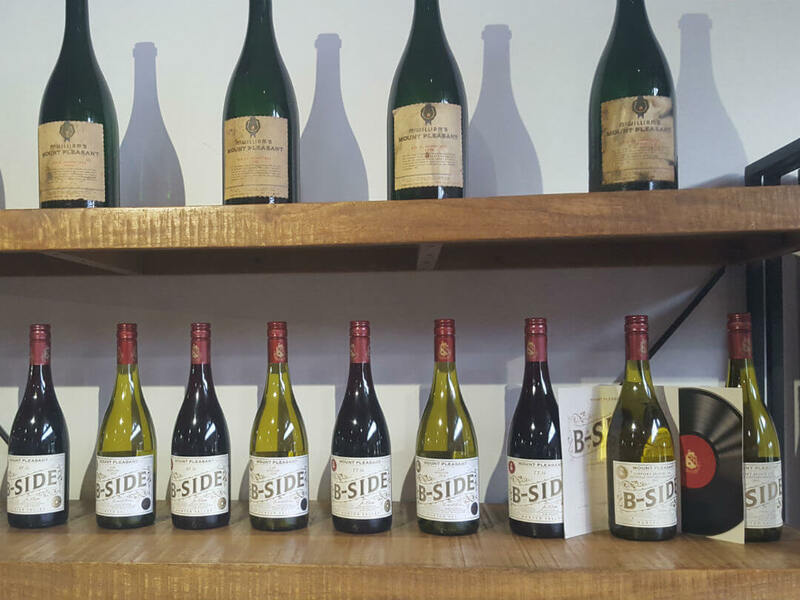 As well as the white wines the region is famous for, there is a growing number of softer reds now being produced. For the foodies the area produces cheeses and chocolates as well as having a number of specialist micro-breweries. 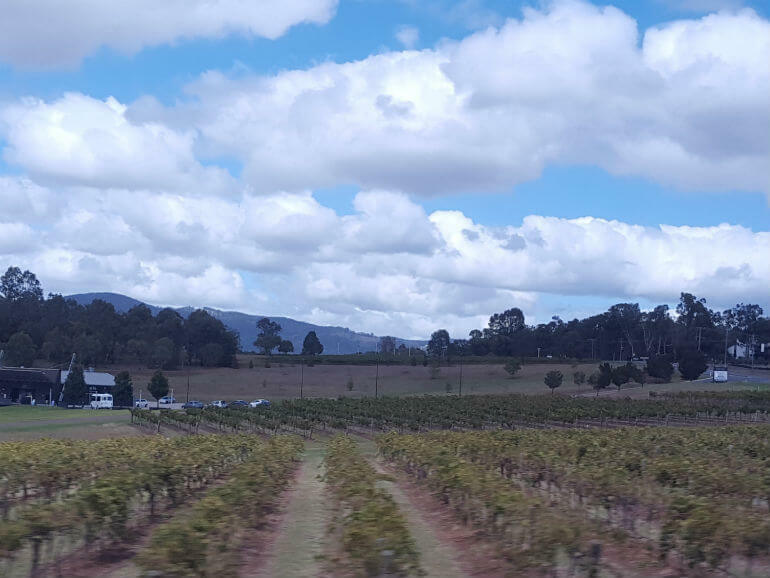 Although a stand alone destination, Hunter Valley is only 2 hours from Sydney so it can easily be included as part of your Sydney holiday, with lots of tour options from Sydney. With over 100 beaches, varying in size from a few feet to several kilometres, there is a beach for every taste. 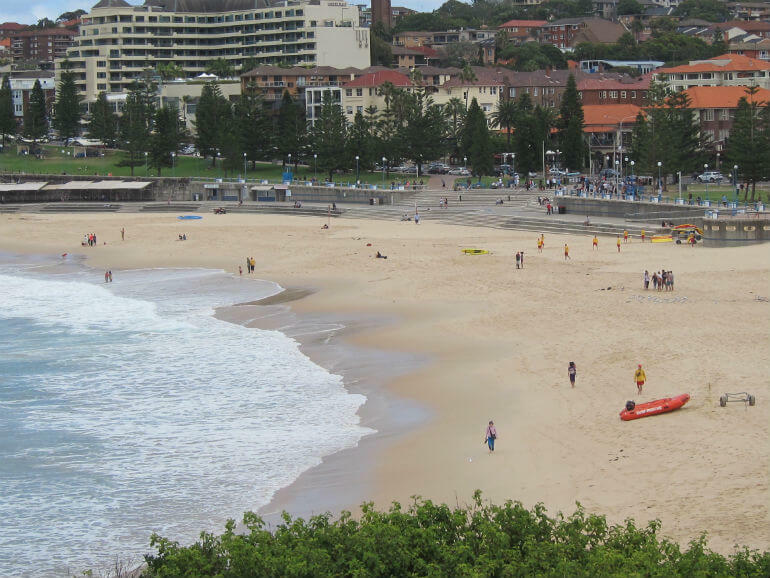 Sydney has lots of beach walks so it is just a matter of which area you want to explore. 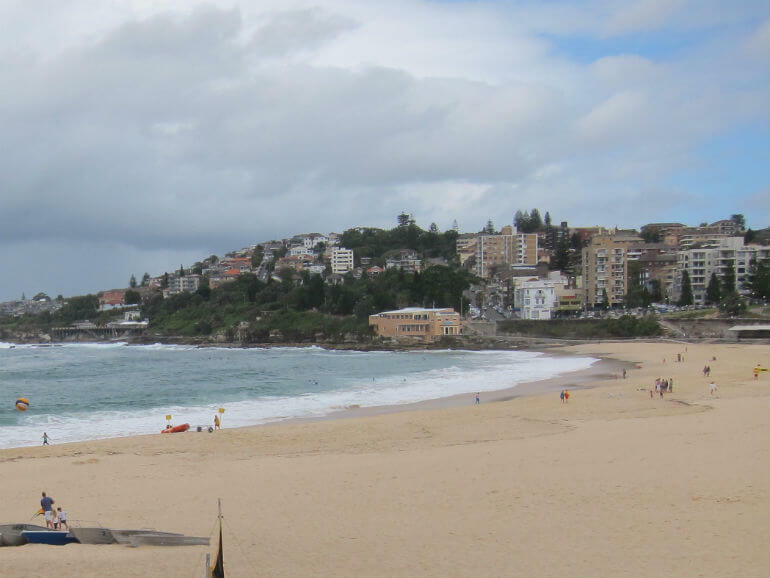 One of the most popular walks is the Coogee Beach to Bondi , a beautiful 6 kilometre beach walk. This is where you can see Sculptures by the Sea which takes place late October each year. By venturing a little further south you can swim in the famous figure 8 pools, tour details here. Where better to learn to surf than Bondi Beach? Welcome to the world’s largest outdoor art gallery. This year there will be over 60 installations. Sydney comes alive in the evenings during Vivid and you can really feel the energy of the city. The majority of the installations are scattered around the harbour. If visiting Vivid Sydney, you really need a minimum of 2 nights to see the installations and then you won’t see them all. It does overload your senses. The lights come on as soon as the sun goes down. 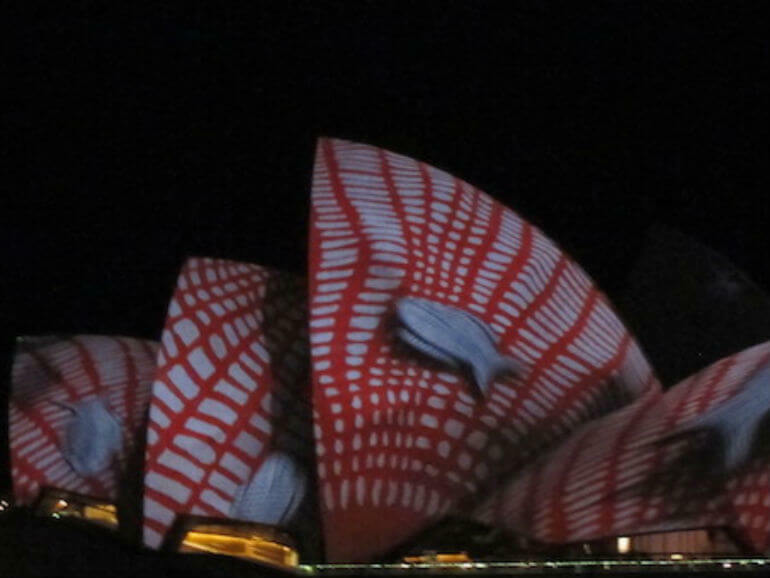 If possible, get down to the harbour before the light show begins and watch “nature’s own” light show as the sun sets over the harbour and the Opera House. One of my favourite memories. If you thought the harbour couldn’t be more impressive then you will be surprised. Even the vessels and ferries dress up for the occasion.